All the work I had sofar done with Portal Tec had to be done again, as they sadly closed the shop before we could start building the G3 axles and the bolt-on portals which I´d asked them to build for me. 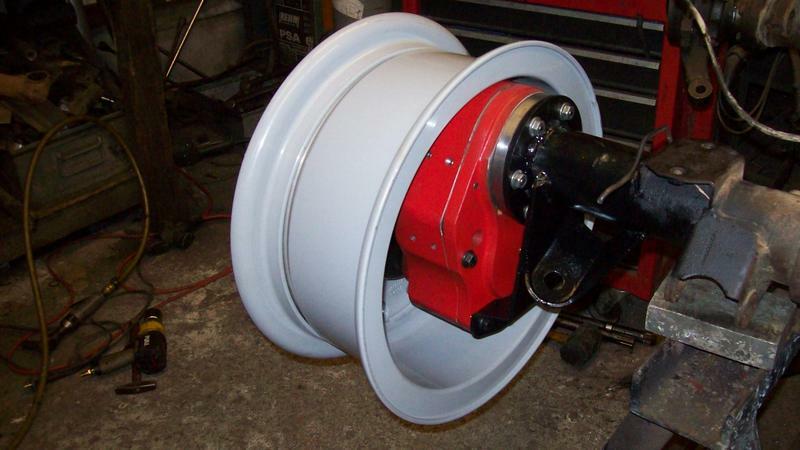 We are currently fitting these new bolt-on portals to my expedition proven Defender axles (the one in my Avatar) and these will then be fitted under my 130CC which will later undergo some further modifications to become a safe and reliable truck for a few solo trips in the coming years. You may ask yourself, why portals? Well, first of all, for the trips that I want to do, I need as much ground clearance as possible and want to stay with a reasonable and locally available tyre size. I will be driving 35" Cooper STTs for now. 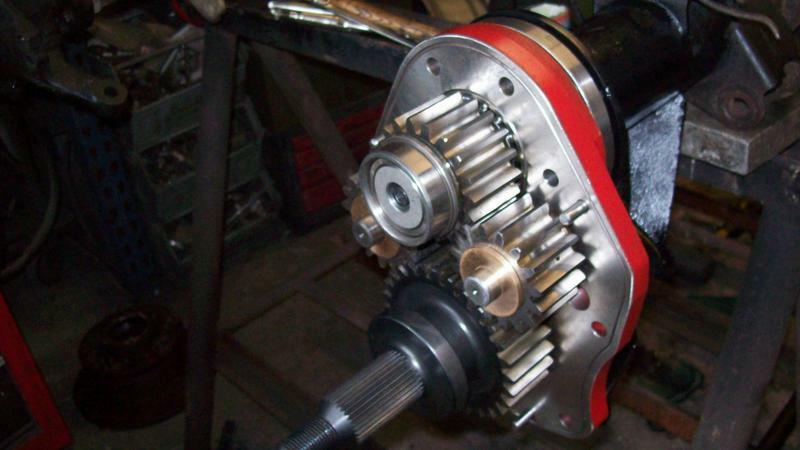 The stress on drivetrain and halfshafts is greatly reduced by the portal´s gearing. In our case it´s almost by 60%. The axles get wider by fitting the portals (add approx. 4" to each side) but by using wheels with a bigger offset the overall width of the Defender axles is only increased by about 2.5". Furthermore I wanted a tyre inflation system to control the tyre pressure. This system can be safely installed with portals. Further modifications will be again a external rollcage, 2 fully waterproof winches (currently in development by the guys who build these drop boxes), underbody protection for the gearbox and rear, 2nd fuel tank on the tray and a new dashboard to take all the additional instruments, the notebook mounts and the navigation equipment. By summer it should be fully done as the first trip will be in late summer. I don't have any need for portals, but definitely interested in how it progresses. 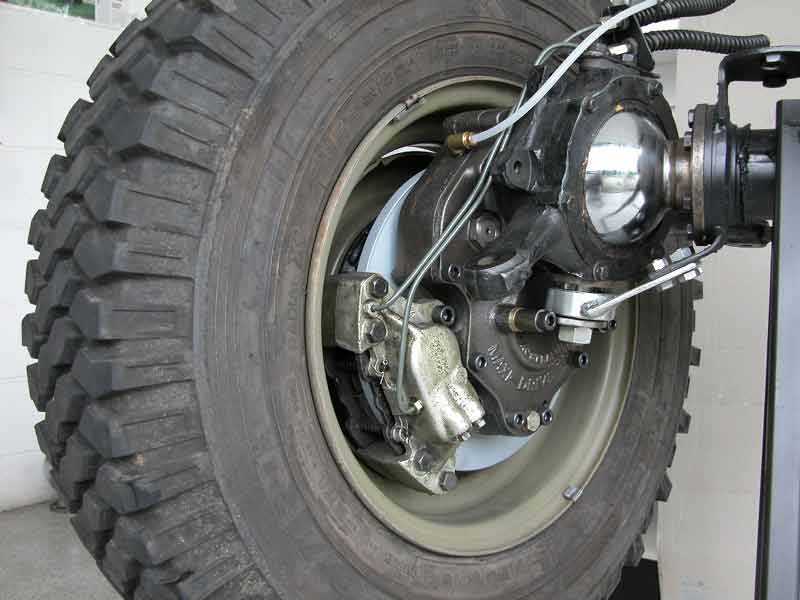 The KillerAxles web pages include this one, documenting a project that put Unimog portals onto a Jeep YJ's Dana 44 axles. The result is a stock-looking Jeep with 37 inch tall tires! Note: The page loads slowly. The text is in German, natürlich, since the KillerAxles headquarters is located in Schortens, a city near Wilhelmshaven in northern Germany. There is an expression here "you're loaded for bear" which applies very well. Interesting build, please post updates. Where are you going that will require that much clearence? First trip: Russia, all the way up north to cross the Ural mountain range above the polar circle and then drive home via Ekaterinburg. Second trip: Up the Panjir Valley to the Lapislazuli Mines. I was close but I couldn´t get there all the way on my first trip in 2002 and I´ve tried twice after that. these look similar to the drop boxes that maxidrive were making - are they using some of the maxi parts or is it an all new box? They look similar because there arn´t that many ways to build a good drop box. I sadly was too late when I heared about the Maxi Drive bolt-on portals. Mal Storey had already sold his last 5 sets to Outback Import of France and was not going to make any more as they took so long to manufacture. Wolfgang Tibus developed his drop boxes using his experience with portals and portal conversions and we had a long chat about what I had learned about the MaxiDrive stuff and about what I was expecting from a portal conversion. I think that what he developed is amazing and will hold. There are quite a few guys out there that keep insisting that the Defender´s axles are too weak, but they always think about extremes. Mal Storey told me that he developed his drop boxes for a tyre size of max 35" and he knew of no customer that had broken one of his drop boxes in "normal" offroad use. 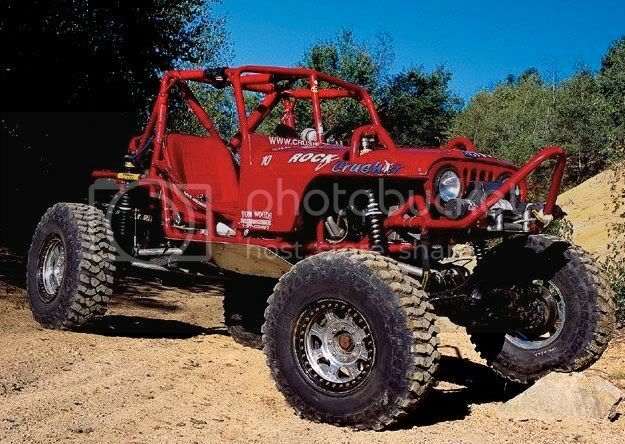 The ones that broke or more correct, where the axles proved to be the weak point, where being used with tyre sizes above 35" and/or in extreme offroading, like rock crawling, etc. The drop boxes that the Tibus family developed are for regular, daily use with "normal" tyre sizes. How strong they are is something that he´ll test this summer in his rallye Defender 100" that he´s going to build and race. This thread is really putting too many ideas in my head. How to get portals on my Jeeps of course! I remember people ditching on Mal's boxes when they came out which is a shame. 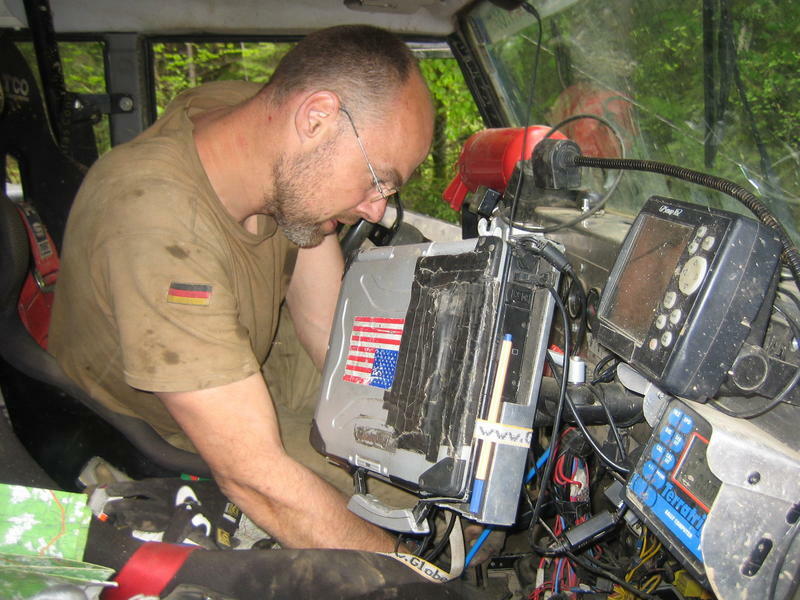 These same types of folks were also destroying hybrid ford 9" / Mog portal box axles. I totally agree with you guys on the suitability of the LR axles. The portals seem to be more in their element in deep mud and actual terrain - not bound up in the rocks on someone's twisted idea of a course. I know there was some questions as to how well the maxi boxes would handle highway speeds - it looks as if there might be a tad more volume in Tibus' boxes for more gear oil. Are they completely sealed, though? Or is there a vent? Also, what is the ratio of the gear reduction at the box? what CV's are being fitted? Are there plans for a production run of them? Best of luck getting everything buttoned up and on the shakedown. Greatly looking forward to your trip report and/or article. Keep us apprised! I looked at building some portal boxes a few years ago. With not having access to casting (cheaply) I was going to make the cases out of laminated laser cut steel plates. They'd be bolted & dowelled together then TIG welded inside to seal them up. Got costs on the gears to be cut & hardened but that killed the project and I couldn't find any suitable ones to make a 4 'gear box', plenty to do a 'volvo' style but you need to flip the diff then with the associated possible problems of oiling. I had already got the H/D fusible stub shaft CV's from Kam Diffs in my front axle so adding the box would have been quite easy as it'd only need a custom stub shaft making. 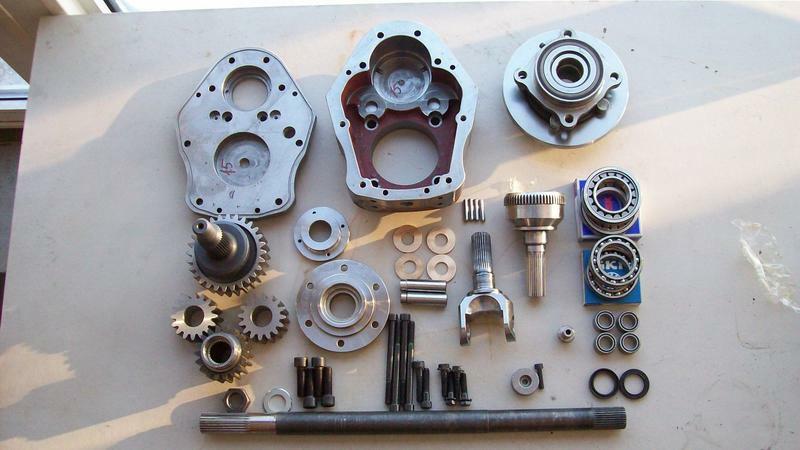 The output shaft was going to be the origional Kam stubshaft into the origional LR drive flange carrier. One thing I did do was get (and fit) the axle stiffening kit from Tomcat Motorsport. It's a second tube that's welded inside the axle casing with end supports and strengthens the axle. It was designed for speed events where the LR based buggys take heavy landings after jumps. 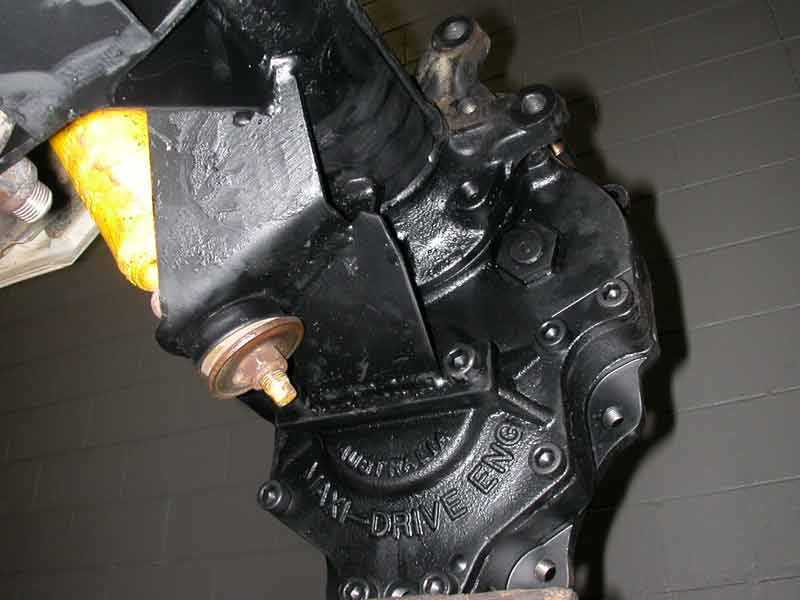 Worth thinking about and it's not that expensive and an easy fit, you can also weld on one of their heavy duty diff covers at the same time..... that's worth the effort alone. Man this fills my head full of ideas. I would love to keep my Rover axles and just "add" to them. I have no reason to go over 35" tires. That would be an upgrade for me as is. I will be following this. Also, is there an english website or should I find the online translator? well then lets see if I can answer all your questions to your satisfaction. 16" Hutchinson or 16.5" H1 wheels are the smallest you can mount to give enough room for the Chevy disc brake that will be fitted. By changing the lower flange you can adapt any other bolt-pattern and could just as well drive a Toyota 18" wheel or a Land Rover rim. The gearing on these portals is 1,6:1 which takes just over 50% of the stress from your drivetrain. All shafts are made of 4340 Chromo. The boxes are fully sealed, as well as you can seal it, and regarding speed and strength, I asked for 120km/h on good road and 80km/h on pistes. At Tibus´ they are building their 100" competition Defender with a 300+ bhp engine and I guess it will be beaten around the tracks of the next Dresden-Breslau! And why shouldn´t you be able to keep your Rover axles? Oh, and regardin the production run: definitly YES! Currently there is one set still for sale from the first production run and as orders come in they want to produce more and more. You just have to tell them what car you want to fit them to and which wheels you´d like to run....rather simple isn´t it?